We can’t wait to exhibit at The Health & Fitness Expo this weekend, 11th and 12th October at Event City Manchester, right on our door step! 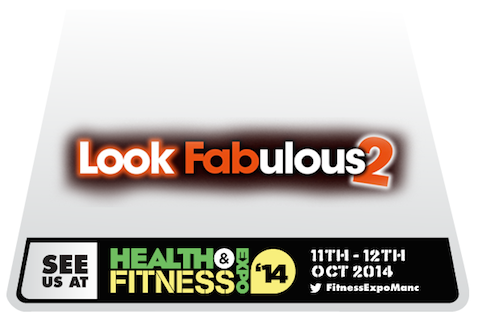 The health and fitness show is coming to Manchester for the first time this year and we can’t wait to be apart of it! The expo will represent a diverse cross section of healthy foods, nutritional advice, gym memberships, beauty treatments, impressive physical displays and interactive exercises. The hugely popular exhibition is expecting 20,000 visitors. It is not just for the health, sport and fitness fanatic but for anyone who wishes to maintain their physique, lose weight or get fit, by gaining the correct knowledge. The show will be packed with enthusiasts from every health and fitness sector: it is perfect for everyone. The show is also free to attend! So anyone can visit us, just go to www.healthandfitnessexhibition.com to register for a free ticket. We will be taking along our wonderful LF2 vibration plates for you to try for free! Come and have a 10 minute session, for no charge, our lovely staff will be there to instruct you on how to use the LF2 correctly to ensure you receive the best experience! If you enjoy using the LF2 then you can have one at home! You can arrange this with us right there on the day, either have one just to rent for a while, or purchase one of your very own! All LF2’s come with a 12 month warranty, so no need to panic if anything was to happen! We would come along and swap it for another…No where else could offer this type of warranty. We also have a stand for our wonderful Egyptian Gold products, where you will receive a free demonstration of our ever popular silk facial mask and serum. Grab a gift bag before they’re gone, we’re giving them away at a VERY special show price, not to be missed! If you miss us at the show, then make sure you like us on Facebook and follow us on Twitter and look out for special offers we will be doing after the show.